Grab this winter internship and make your winter brighter and merrier. Click on to write for Hindustan Times and connect to millions of people. Winter Internship with Hindustan Times. Ready for a winter internship that will look oh-so-great sitting on your resume as you move ahead in your career as a writer? Yes? Grab this amazing and highly entertaining internship opportunity with Hindustan Times and say hello to a world of new opportunities. Hindustan Times is one of the leading English dailies and surely needs no introduction. With a newspaper circulation reaching over 40 lakhs and a huge online readership of over 10 million, Hindustan Times has only grown since its inception and is no mood to look back anytime soon. Whether it be business, politics, education, automobiles, technologies, lifestyle, sports, cities or world or entertainment, there is no genre untouched by this esteemed newspaper daily. Hindustan Times looks to make sure that nothing matters escapes its sight and the headlines that rock the world to things that might affect your professional life, everything that is important finds its way here. 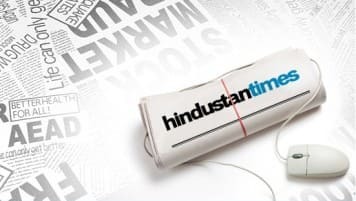 This winter internship with Hindustan Times will ask you to channel in your rational side and use it to express your viewpoint and connect with millions of readers across the globe. You will have to Desimartini, a branch of Hindustan Times dedicated to entertainment. Desimartini is India’s not just first but largest audience driven movie ratings and review website that makes it way through 6 industries, namely – Hollywood, Bollywood, Telgu, Tamil, Malayalam and Kannada. With a huge database of over 4000 movies and around 7000+ reviewers, this entertainment website has a huge base of readers and reviewers alike. Desimartini covers movie reviews, entertainment gossips and a desi, creative twist on films and celebs globally to make the perfect martini. Now, click here and apply for the internship or read more about it. And to grab more exciting winter internship opportunities or great full-time internships, click on Letsintern.